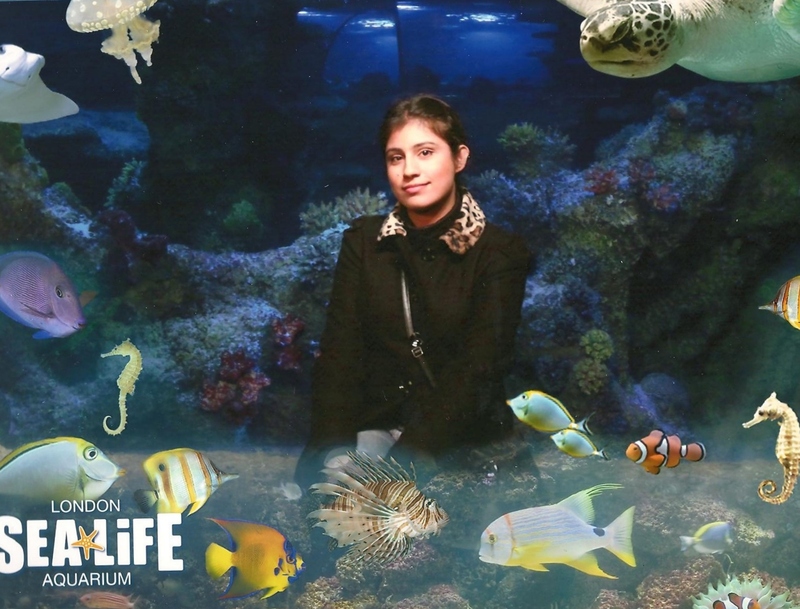 What turned out to be a casual trip to the Sea Life Aquarium, became an eye opening education for me. During my time there, I learned about our destructive habits and an ignorant attitude towards our oceans. This could be because of two reasons; we are genuinely ill informed about the ocean endangerment or we choose not to care. Seventy per cent of Earth consists of the oceans and eighty per cent of all life on Earth is found in the oceans. Our oceans provide us with vital sources and create over half of our oxygen. It also drives the weather system and at the same time keeps the Earth habitable. However, there are key threats that are endangering the oceans and over forty per cent of the world’s oceans are impacted by human activities. So we have to care about the oceans because we depend on it. Large amount of pollution from industries and cities get dumped into the oceans and this sets a chain of destruction. Here is an interesting fact about North Pacific and North Atlantic Oceans and how each year tons of litter end up in these oceans as swirling masses known as ‘Trash Vortexes’. The Pacific Trash Vortex is approximately the size of Texas. These vortexes pollute the sea, killing millions of marine animals each year, such as the turtles, dolphins, sharks, birds and fish. One of the sad things about seafood is that it has become so popular and in demand that now oceans cannot keep up with it. One way of catching huge amounts of fish is known as ‘Bottom Trawling’, which basically means huge and heavy nets are dragged across the ocean floor, catching anything in their paths, destroying the vital habitats and leaving millions of marine animals without their homes. Every year fishing nets are responsible for killing up to 300,000 whales, dolphins and porpoises. Over forty per cent of the world’s oceans are impacted severely by human activities, including activities such as water activities like scuba diving and underwater activities. Most of us are unaware that interfering with the marine life by touching and removing rocks and coral impacts the ocean greatly. Did you know that fishermen and industrial trawlers remove more than 170 billion pounds of wildlife a year from the oceans? If this continues at the rate it is going, we could lead to the collapse of fisheries. You can lower your seafood footprint by opting for sustainable fish, such as the Mackerel, Lemon sole, Tilapia, catfish and mussels because they require fewer resources and grow very quickly. Take care of your beach and don’t leave rubbish around. Be a part of Beach cleaning campaign. Plastics that often end up in oceans kill marine animals. Don’t use plastics. If you must use them, dispose of them responsibly into the correct recycling bins. Use the internet to find organisations that are committed to protecting the oceans. There are so many blogs dedicated to oceans and provide useful tips and information about what we can do. Sometimes they have online petitions that are used to submit an issue relating to ocean endangerment and influence government’s decisions. When you are undertaking underwater activities, be careful not to interfere with the environment and remove anything. Also avoid buying products that exploit marine life, such as coral jewellery and accessories. If you are planning to go on a cruise, do research for the most eco-friendly option. The more you know what is happening, the more you will understand the importance of doing something about it. Share your knowledge with others too. For example, share this blog with others and any other blogs too. I understand that Ocean Endangerment is a vast subject to study and that I have merely covered a portion of it and that too in a layman’s English. To learn more, I would suggest Green Peace and National Geographic websites. I would also suggest typing ‘ocean blog’ on google search and look for blog articles.